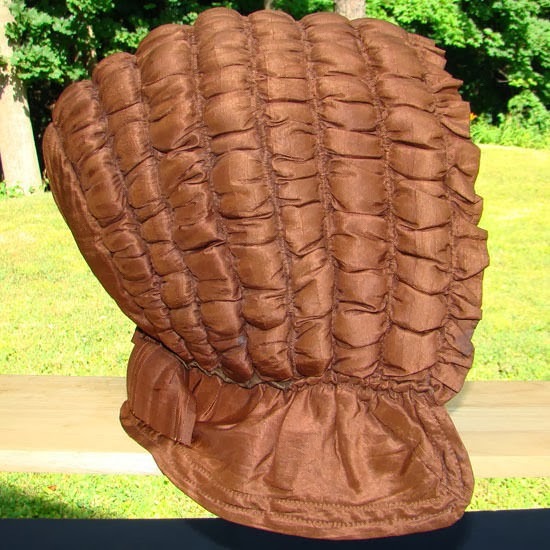 This is a Museum Quality C1800 Antique Hand Quilted Puffy Bonnet in milk chocolate brown silk. It is in absolutely Pristine Condition looking like it was worn very little and was also carefully stored. Actually it looks about as good as the day it was made. 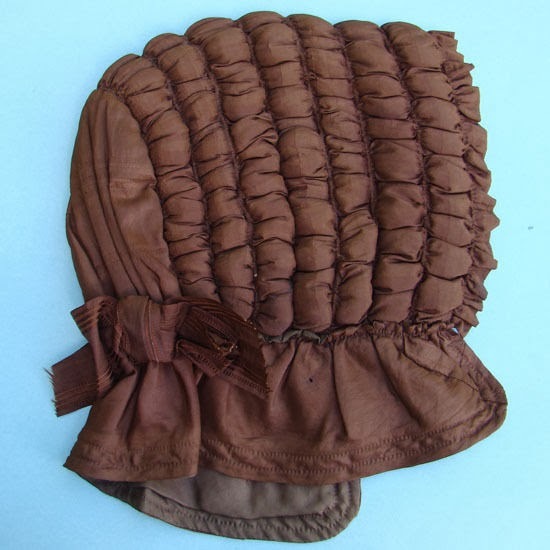 This bonnet came out of a collection where it has been. 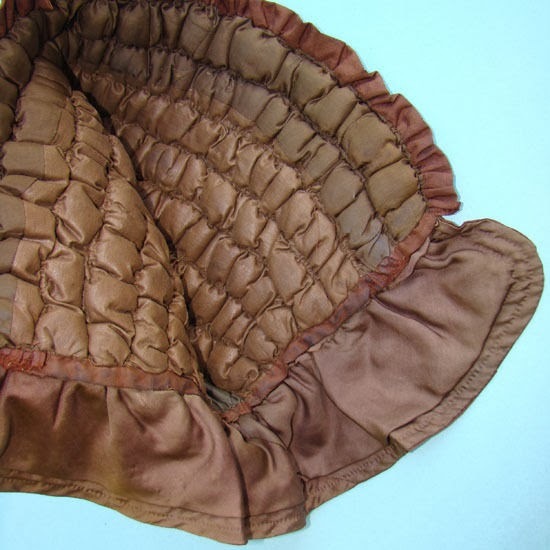 The bonnet dates to the first quarter of the 19th century C1800-1825 or prior I believe and may possibly be Shaker in origin. 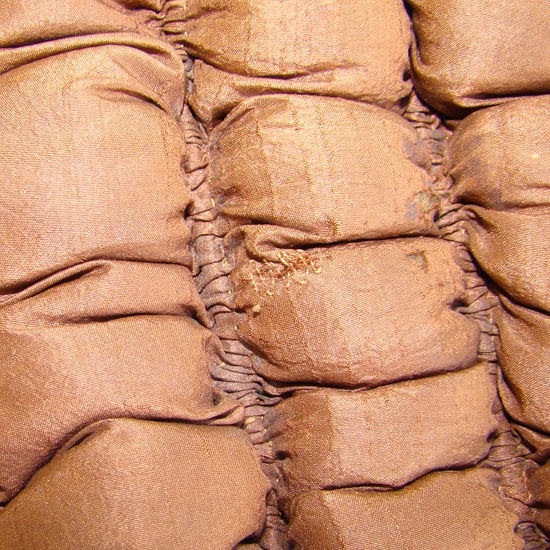 The brown silk is soft and supple and is not shattering because they did not weight the silk at that time. Later in the Victorian period, silk was weighted and the chemicals that they used helped to disintegrate the fabric. This silk is not weighted so it is still nice and beautiful. The color comes from natural dyes that they used at that time and may have been butternuts. There is one tiny repair that I really really had to look for to find and there is a small tiny hole in the fall. The interior is lined with two shade of brown polished cotton. 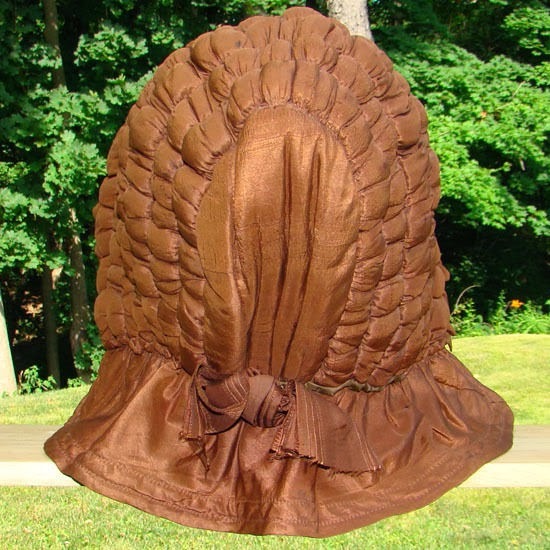 The entire bonnet is hand stitched and hand quilted. 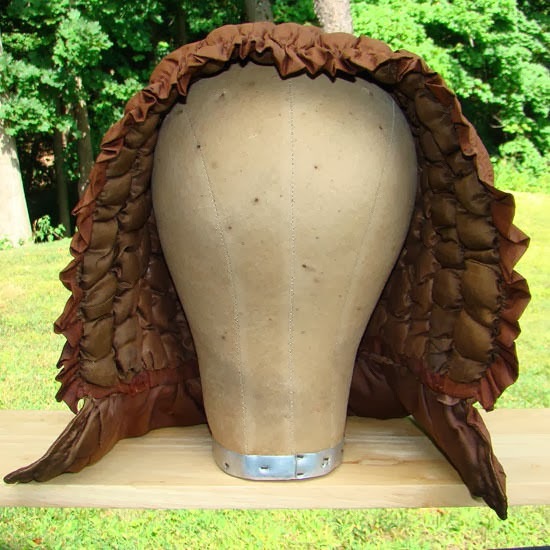 The bonnet is for a woman and it measures 22 1/2' up one side of the front to the other side and about 10" deep. A matching ribbon bow trims the back. 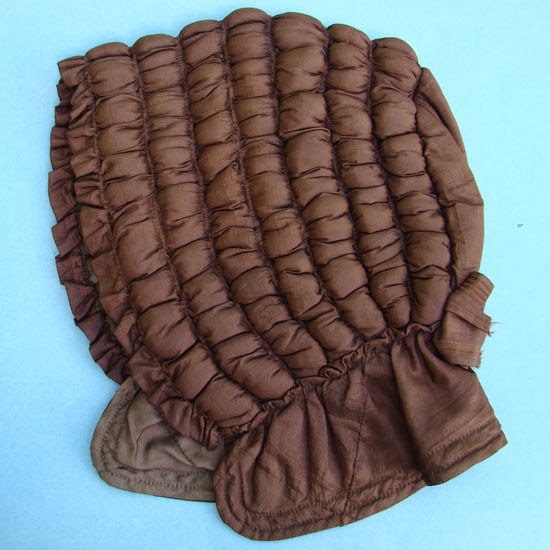 This bonnet is as near to pristine condition as you are going to get for a 200 year old bonnet and is a rare find in this condition. Please note, the bonnet is DARKER in color in real life. The photos were taken in full sun so all the detailing would show in the pictures, and the sun tends to lighten the color. Please ask questions if I have not included something in the description that is important for you to know. This is sort of the knit cap of the 19th C in many ways. The style was popular through most of the 19th Century. However, the way this one is cut, and that cute little bow on the back, make me think this is more 1850's. Cutest Valentine's Day Dress EVAH! The latest addition to my personal collection! Turn of the Century Undies!